IIM Amritsar is all set to commence the first batch of Post-Graduate Program (PGP) in Management from August 06, 2015 in Amritsar. The institute got the final go ahead from the ministry of HRD to start the activities from this year after the site for the permanent campus was finalized by the site selection committee in late June. Mentor Institute, IIM Kozhikode put together all its experience and human resources to organize essential requirements to begin the program within a month’s time. 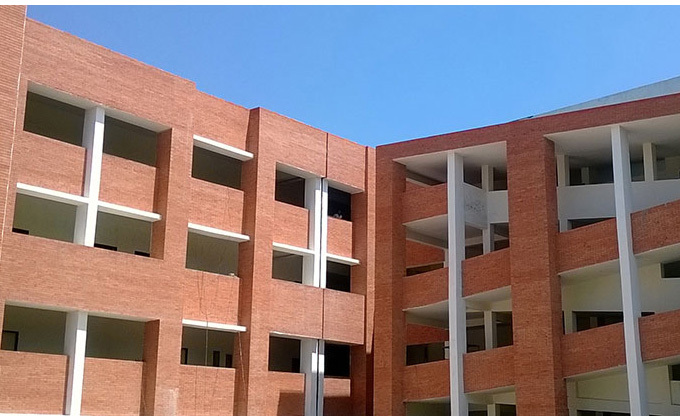 A few buildings at the Punjab Institute of Technology at the Government Polytechnic Compound are refurbished on a war-footing basis to meet pedagogical requirements of the highly rigorous and respected program in the country. When it comes to learning and curriculum, however, the IIM Kozhikode faculty has gladly agreed to take the additional responsibility of teaching the group of students at Amritsar. “We have been receiving great support from the IIM Kozhikode faculty and academic groups who are identifying faculty resource for this new Institute. IIM Kozhikode will strive to lay a strong foundation of an Institute that would make them proud in the years to come.” Prof. Kulbhushan Balooni, Director, IIM Kozhikode and Mentor Director, IIM Amritsar said. Prof. Balooni, also acknowledged the support of Punjab Government and local authorities in Amritsar, and appreciated the great efforts of key officials at the district collectorate, PWD department and other civic bodies, Punjab Institute of Technology in making this possible in short time. IIM Amritsar Society got registered with 9 member governing body on July 27, 2015. Admission process to the PG Program is almost completed and about 65 students are expected to register at IIM Amritsar on August 05. After the inaugural function on August 06, 2015, the students would undergo 2-3 days of orientation program before the regular classes start from the Monday, August 10, 2015. IIM Kozhikode is the mentor for IIM Amritsar.